Here’s proof that your stone hearth oven can be as versatile as your menu. 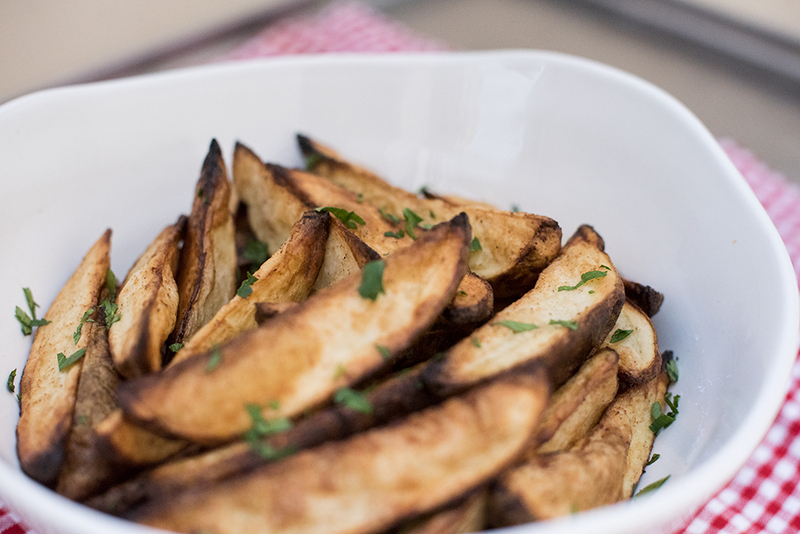 We’re making crispy potato wedges in the the test kitchen today with our Intelliluxe Stone Hearth Smart Oven. 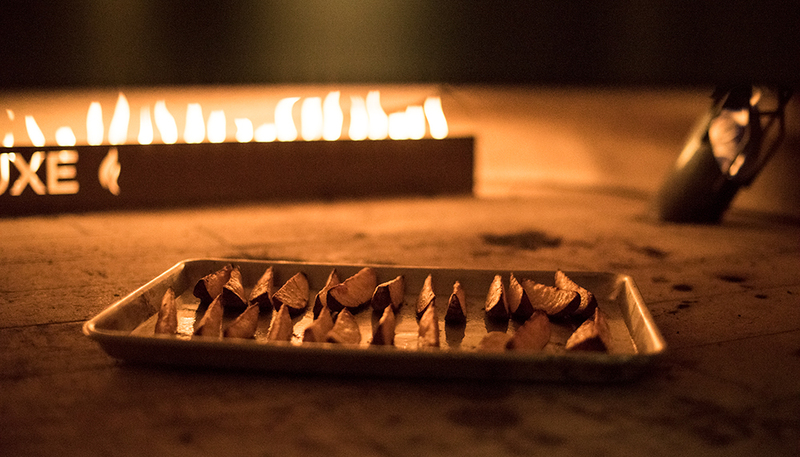 Say goodbye to your fryers and hello to flavorful fiery potatoes from a stone hearth oven. These wedges are generously seasoned with salt and garlic next to an open flame, which makes for a quick cook time and crispy outside. Pass the aioli! Or ketchup, if that’s more of your thing. Scrub and cut potatoes lengthwise into eighths, keeping each wedge similar in size and place into a bowl of cold water and let them soak for 10 mins. 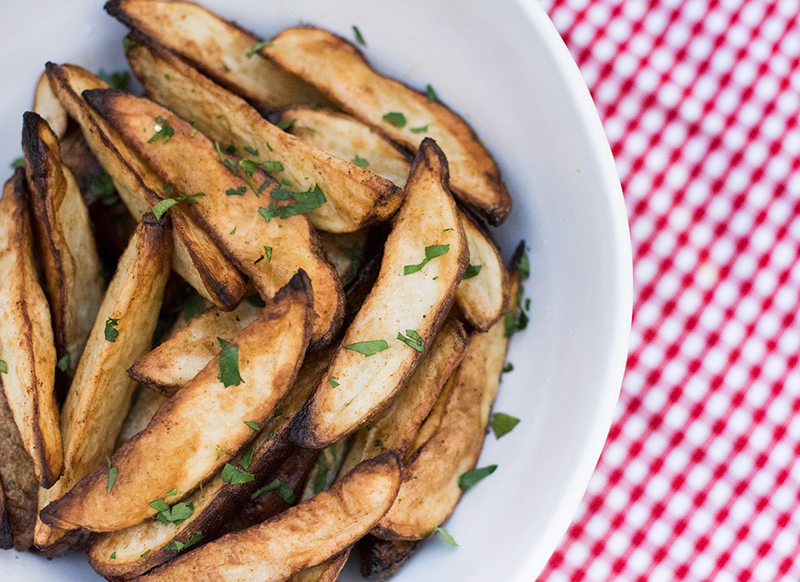 Thoroughly dry and place potato wedges onto a baking sheet. In a separate bowl combine oil, paprika, garlic and salt. Pour oil mixture over potatoes and toss to coat evenly. Arrange potatoes in a single layer with skin side down. Sprinkle with extra salt if needed. Bake for 17-20 mins rotating the sheet halfway through baking time, until golden brown, crisp and fork tender. Sprinkle with parsley and serve hot with favorite dipping sauces.